Who Do You Think You Are? is the hit BBC series where celebrities trace their ancestry and discover secrets and surprises from their past. 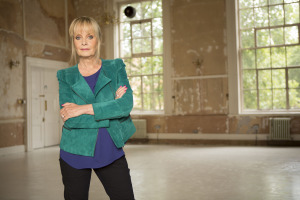 The eleventh series has featured actresses Julie Walters and Sheridan Smith, comedian Billy Connolly and Bake Off star Mary Berry, with the final episode of the series focusing on model and actress, Twiggy. Twiggy, whose real name is Lesley Lawson, takes a journey into discovering her family’s descent and visits Farningham and Darenth in Kent along the way. Farningham is a quaint village located on the River Darent in the Sevenoaks district of Kent. The village is said to have been visited by Charles Dickens where he fished trout. In neighbouring Dartford is Darenth which has a church, public halls as well as acres of woodland such as Darenth Woods and Darenth Country Park. The Sevenoaks area has welcomed filming from productions such as Rush (2013), Strawberry Fields (2012) and Axe the Agent? (2009). Dartford has hosted Don’t Tell the Bride (2013), BBC Sport Relief John Bishop’s Week of Hell (2012) and Harry Potter and the Deathly Hallows Part 1 (2010). Don’t miss Twiggy’s Who Do You Think You Are? episode which will be shown on Thursday 9th October 2014 at 21:00 on BBC One. This entry was posted in Filmed in Kent and tagged Darenth Dartford, Farningham Sevenoaks, tv factual, Twiggy, Who Do You Think You Are? film locations. Bookmark the permalink.